The artificial matrices made by biomaterials, also known as scaffolds, are used as structural support for cells to develop tissues. Among the biomaterials, chitin and lignin could be considered the right polymers to make natural-like scaffolds as they are biocompatible and eco-compatible. Moreover, they may be easily electro spun to produce non-woven tissues with a structure similar to the natural extracellular matrix (ECM). In fact, for the particular organization of its fibers, these tissues are able to support appropriate cellular activity, optimizing tissue regeneration without eliciting undesirable local or systemic responses. On the other hand, the necessity to realize biomaterials with the right biochemical and mechanical properties have became a must of our society, due to the increase in the aging population with a consequential enlargement of the global market for the tissue engineering and regeneration, estimated to reach around USD 60 billion in 2019. At this purpose, it is necessary to understand the delicate orchestration of the biological, physicochemical and environmental aspects involving the cell migration and proliferation as well as to exploit the both natural molecules to be used, obtainable today from renewable sources and the green processes routes. The use of natural polymers in substitution to the petrol-derived ones seems the best way to produce skin-friendly healthy tissues and, slowing down the increased plastics production and waste, to try to save the Earth's environment equilibrium and biodiversity. The paper will report some general data to support the use of chitin and lignin as natural biomaterials for tissue engineering in regenerative medicine. While the worldwide population is estimated to reach 9.7 billion in 2050 with 1.6 billion aged (65 years old and more), 1.3 billion tons of all food produced for human consumption yearly (~ 40 billion tons) is lost or wasted with 1 billion people remaining undernourished [1,2]. Additionally, the current way of producing, distributing and consuming food with a very high waste, is causing an unsustainable environmental pressure and disasters. Therefore, the increase in human population, the battle against climate change, the progressive but significant soil erosion, and claims to make healthy diets accessible to all are spurring significant changes. It is believed that bio economy could represent the major contributor to climate mitigation by transition to a circular economy. As a consequence, a substantial reduction of meat consumption and emphasis in less intensive farming, regenerative agriculture, supporting eco-systems and reducing waste are the increasing requests. Bio economy could thus drive industrial change towards a new techno-economic system able to compete and combine with the actual non-biological production. In fact, it offers a unique opportunity to address food security to fight natural resources scarcity, reduce fossil resource dependence and modify the climate change, while achieving a sustainable economic growth for the increasing global population . FAO has calculated that in 2050, 9.7 billion people could need 70% more food and feed than used now. Simultaneously, there is the necessity to reduce the Green-House Gas emissions (GHGs) related to agricultural sector, estimated to be responsible for 25% of these emissions. In addition, a better use of industrial and agricultural by-products, including residue of urban waste are required. Thus, there is a necessity to achieve the bio economy, remembering that 30%-40% of the agricultural and aquatic biomass is wasted in the chain from farm-to-fork (i.e., 90-120 billion tons/year) [1,3]. According to the European Commission, bio economy encompasses the production of renewable biological resources and their conversion into food, feed, bio-based products and bioenergy . Consequently, technological advances are set out to replace finite resources and conventional industrial processes with methods and components that use biologically derived bio-based processes. They are expected to be more sustainable, because of the use of renewable recycled resources, emitting less CO2. Moreover today, people purchasing decisions are increasingly motivated by the quest for healthy living and green consumption, where the natural is wider-encompassing to include products with eco-credentials, sustainable sourcing and clean labels . For all these reasons, the use of chitin and lignin, recovered from fishery's waste and agricultural biomass respectively, is considered a good option for producing biodegradable biofibers to make healthy tissues for biomedical and cosmetic use . Therefore, by the use of renewable raw materials and innovative nanotechnologies, it will be possible to substitute the use of fibers made by petrol-derived polymers with natural bio-fibers, such as chitin and lignin, for trying to reduce the unsustainable land and ocean waste (Figure 1) [6,7]. Figure 1: Land and ocean waste. Chitin is the most common biomass waste compound after cellulose, which is recovered in nature and produced by a variety of marine animals, insects and fungi. It is considered as one of the polymers with highest production rate and biodegradability existing in nature [8-10]. Chemically it is a linear nitrogenbearing structural polymer made up of β-(1,4) linked-N-acetyl- D-glucosamine units, that is present in biological tissues and represents an important constituent of exoskeleton and shell of crustaceans and fungal cell walls (Figure 2). Chitosan is a random copolymer obtained from the alkaline de-acetylation of chitin to obtain a more soluble compound, which has more N-glucosamine units, by enzymatic or chemical processes . However, chitin is a polysaccharide, which is assembled in the form of micro fibrils and is made up of a complex and hierarchical structure arranged by bulk mineral and protein compounds to represent a structural scaffold material of high interest for its physicochemical and biological properties (Figure 3) [11-13]. The interesting characteristics of chitin, such as biodegradability, predictable degradation rate, structural integrity, non-toxicity to cells, and biocompatibility, makes it an ideal candidate to produce polymeric tissues . Purified from minerals and proteins by an industrial process (Figure 4), its crystalline and pure form, named Chitin Nano fibril (CN), may be used as filler to develop and strengthen innovative nano-composites and to produce block polymeric micro/ nano particles with electronegative polymers [15,16]. The typical infrared spectrum of CNs (Figure 5) is in agreement with the presence of hydroxyl groups, -CH groups as well as amide groups, whereas the X-ray characterization resulted in a typical peak at 2θ=19.32° (Figure 6). The dimensions of CN are nanometric (Figure 7) and the shape is needle-like. The CNs assemble easily (Figure 8) because of strong inter-fibrillar interactions. Accordingly, the surface area of dried CN powder determined by BET (Micromeritics Gemini V) measurements was found to range from 1.7-3.4 m2/g. The surface area is low and in agreement with micrometric dimensions. It means that CNs recovered from aqueous suspensions by drying easily form resistant bundles of micrometric dimension. This waterbased casting technique that can be exploited for obtaining CN scaffold, characterized from its tubular and three dimensional, fibrillar morphology (Figure 8), as well as for its ability to easily swell in water, make this polymer a promising candidate for practical applications in biomedicine and tissue engineering. 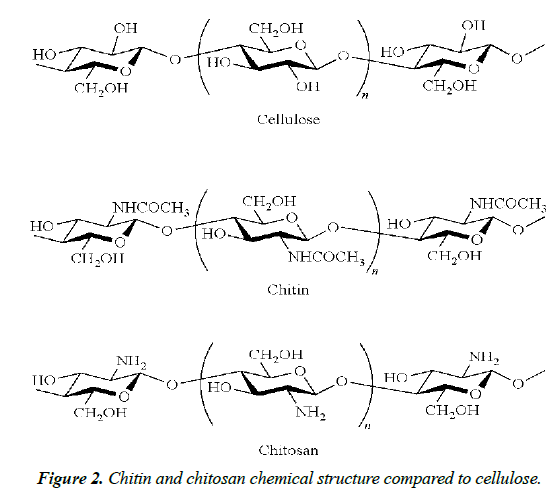 Figure 2: Chitin and chitosan chemical structure compared to cellulose. Figure 3: The structural scaffolds of chitin. Figure 4 Industrial pilot plant to produce chitin nanofibrils. 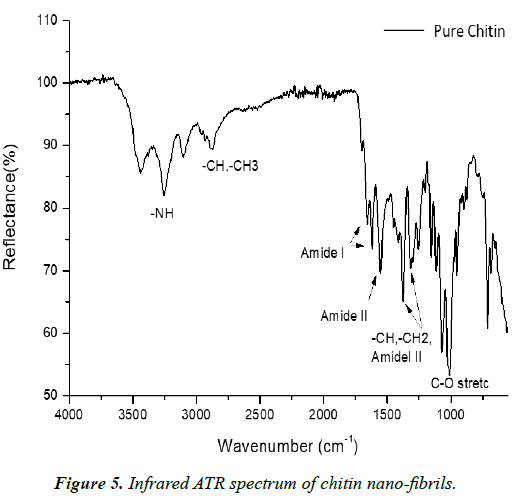 Figure 5: Infrared ATR spectrum of chitin nano-fibrils. 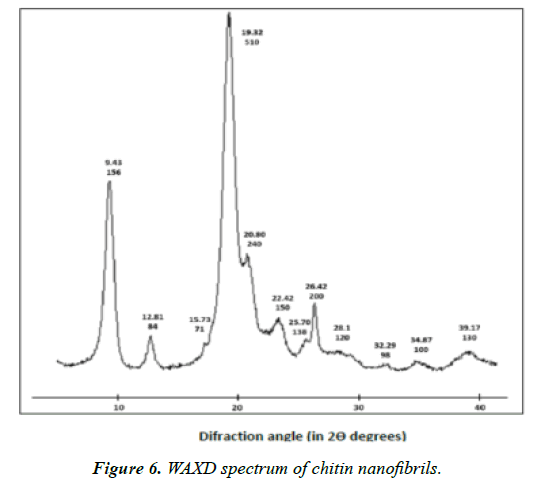 Figure 6: WAXD spectrum of chitin nanofibrils. Figure 7: Scanning electron microscopy picture of chitin nano-fibrils. Figure 8: Tissue prepared from chitin nano-fibrils. It is possible to develop natural and safe composites using CN as reinforcing fibers to be used, for example, in medical, food and cosmetic fields. It is interesting to evidence that for its nano-metric size and the hierarchical arrangement of its micro/nano-fibers, this sugar-like polymer, when electro spun, mimics the biological component of other human structural materials. Indeed, cells in human tissues and organs deposit their extracellular matrix in the firm of nanoscale fibers, despite their variation in chemical and mechanical characteristics . Moreover, owing to its crystalline form positively charged on its surface, CN may be complexed with other negatively charged natural polymers, such as hyaluronic acid and lignin to form micro/nano-particles [18,19]. On the other hand, these block polymeric nanoparticles bound to different active ingredients, may be used to fabricate nano-composites by electrospinning technology for producing innovative non-woven tissues. These tissues are characterized for containing a system of open pores connected with each other and with the environment in similar way of the natural extra cellular matrix (ECM) (Figure 9) [20-22]. Due to the safeness and non-toxicity of chitin and its derived compounds, CN and its complexes could have a great interest as biomaterials to be used in medicine, being skin-friendly and also eco-compatible. 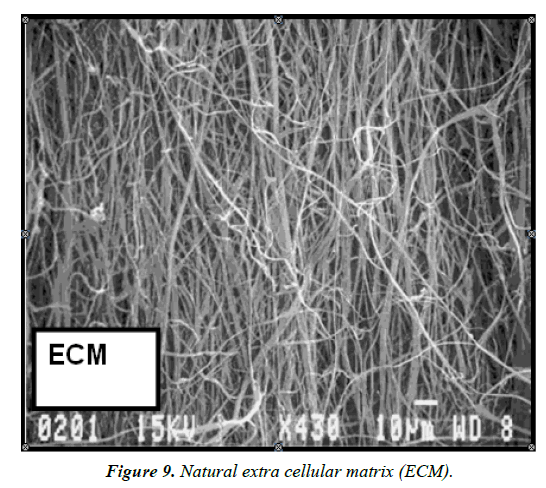 Figure 9: Natural extra cellular matrix (ECM). Lignin is obtained from lignocellulosic biomass abundantly available as agricultural by-product used through the manufacture of cellulose pulp for the production of paper and ethanol [23,24]. It has a stable molecular structure and has different physicochemical behaviors, depending on the source from which it has been obtained. However, it is interesting to underline that the many different chemical species contained in the complex tridimensional molecular structure of lignin, characterize its antioxidant and UV protective activities. The infrared spectrum shows the presence of hydroxyl groups as well of aromatic rings (Figure 10), in agreement with the presence of phenolic structures. Therefore, lignin is considered a raw material of high medical interest, also for its environmental- and skin-friendly nature. When hydrolyzed, in fact, this organic structure releases various phenolic acids mainly based on the structure of benzoic acid and cinnamic acid, such as vanillin acids and ferulic acid, well known for their antioxidant properties . These compounds, donating electron groups, are thought to prevent DNA and lipids from oxidation by reactive oxygen species (ROS). They are thus considered potential therapeutic agents of diseases linked to oxidative stress [26,27]. Consequently, the vast use of antioxidant compounds is justified to the tentative of slowing-down the aging and photo aging processes, as one of the probable causes of the increasing skin cancers . Indeed, lignin has shown to be utilized as potent UV-radiation adsorbent compound due to its functional groups such as phenolic, ketone and other chromophores . 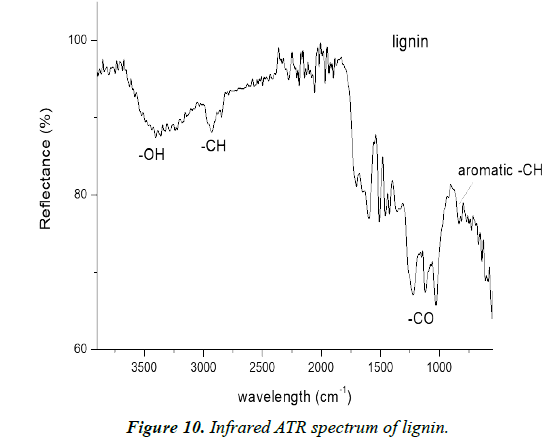 Figure 10: Infrared ATR spectrum of lignin. Lignin is usually commercialized in powder and consists of micrometric particles with a nanostructured surface (Figure 11). However, it is interesting to underline that, according to the solution-precipitation method, it is possible to obtain nanoscaled lignin (NL) to be complexed with CNs, as reported elsewhere . The higher surface area-to-weight ratio and the smaller particle size could positively influence the antioxidant activity of NL bound to other biomaterials, such as CN. In conclusion, due to the higher antioxidant activity reported for lignin, the anti-aging effectiveness shown by CN, and the antiinflammatory and cicatrizing effectiveness shown by the CNLG complexes, it seems interesting to make positive use of such interesting activities to ensure the production of innovative nano composites and non-woven tissues to be used to load and delivery selected active ingredients useful for repairing aged, wounded or burned skin, respectively [31-34]. These new systems, applied epicutaneously, could be able to modulate the trans-epidermal diffusion by modifying the active ingredients effectiveness and/or their partition and diffusivity through the skin layers. Moreover, these innovative biodegradable non-woven tissues may increase the degree of hydration, also enabling a more comfortable application. The partition coefficient established between these carrier-vehicles and the stratum corneum is considered one of the factors which control the ingredients permeability, by establishing a high initial active ingredient concentration on the external layer of the skin . 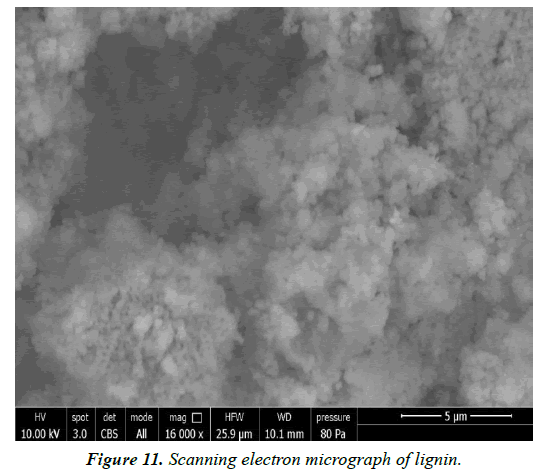 Figure 11: Scanning electron micrograph of lignin. Continuous progress in medical science and tissue engineering technologies has allowed tissue or whole organ transplantation to become potential options for restoring damaged parts of human body. To fabricate the natural biomaterials necessary to produce these medical regenerative tissues, it is necessary to know and understand the delicate orchestration of the biological, physicochemical and environmental aspects, involving the cell cycle. The mechanical stress, for example, can modulate different cell functions (e.g., migration, proliferation) through transmembrane-signaling proteins, as well as cellular structures, such as integrins or cytoskeletal proteins, seem to own the mechano-sensing role. At this purpose, integrin binds to a large number of ECM molecules and cell membrane proteins, thus favoring the intercellular adhesion and signaling activity [36,37]. Therefore, the creation of active materials exploiting natural molecules from renewable sources and obtained by green processing routes remain an important and difficult step towards a sustainable aging society, estimated to reach 9.7 billion in 2050 (Figure 12) . However, as previously reported the skin stratum corneum acts as a barrier and represents an obstacle for the delivery of many molecules across its complex structure. In order to enhance the transfer of ingredients across the skin layers, therefore, it is necessary to know the physicochemical properties of the molecule/nanoparticles entrapped into the non-woven tissues used as carrier, as well as the properties of the fibers as tissue components and their combined interaction and penetration-absorption with and through the skin . At this purpose, technological advances in electro spinning have enabled the development of specifically structured nano-fibrous non-woven tissues able to load and release different kind of active ingredients. These functionalized matrices developed and used as innovative carriers and cellculture scaffolds, increase the ingredients efficacy and safety, by offering improved biocompatibility and degradability when used in regenerative medicine. Moreover, in medical practice the use of specific computerized programs and the application of statistical mechanics are necessary for trying to understand the connection between the microscopic cell simulations and the macroscopic observable properties, such as pressure, energy, heat capacities and other human body needs . In pharmaceutical chemistry, the importance to deeply know the drug stereo-chemical activity and bioavailability is also gaining a great attention. In conclusion, a basic knowledge of the subject is necessary for clinicians to make informed decisions regarding, for example, the use of a single-enantiomer drug . The drug molecules and their carriers are the central components to explain the associated features essential to exhibit an effective pharmacological activity. Indeed, the drug effectiveness is concentrated in only one enantiomer, because the mechanism of action at the molecular level involves often a highly specific interaction between the ligand, a chiral molecule and the biological recognition site-target. Biological systems, in fact, can recognize two or more enantiomers as different substances and therefore their mutual interaction will elicit different responses. In the same way, the non-woven CN tissues used as carriers result fundamental to obtain the right release of the entrapped ingredients at the right dose and time because of the ionic bonds established between them [40,41]. Therefore, the necessity to search natural biodegradable alternatives to traditional petroleum-based active ingredients and polymeric carriers follows on . Due to the fact that plants naturally produce many polymers such as starch, cellulose and lignin, these polymers, synthesized as natural nanoparticles, could be used to produce plastic films and tissues as well as crustacean bio-polymers, such as chitin, previously reported. Additionally, novel polymers like polyhydroxyalkanoates (PHAs) may be used, recovered as carbon and energy reserves stored as insoluble bodies in specific fermented bacteria, as well as the polylactide (PLA) that, as polymer of lactic acid, is also obtainable by bacteria fermentation (Figures 13a and 13b) [43,44]. With its increasing production rate, biopolymers reached 2.05 million tons in 2017, thus representing 1% of about 320 million tons of petroleumbased plastics produced annually, 100 billion of which are used for packaging materials [42,45]. Additionally, 268,000 trillion tons of these plastic materials are estimated to float today around the oceans, also creating a lot of problems to the sea flora and fauna by the exploitation of new technologies, around 30% of plastics is currently recycled, but for the increased production and use, it accumulates in the environment at the rate of more of 18.2 metric tons per year. As a consequence, the necessity to change our way of living, producing and consuming more the alternative bio plastic polymers and other biodegradable raw materials obtained from biomass to save our environment and the Planet biodiversity. This is also the goal of the European PolyBioSkin research project. 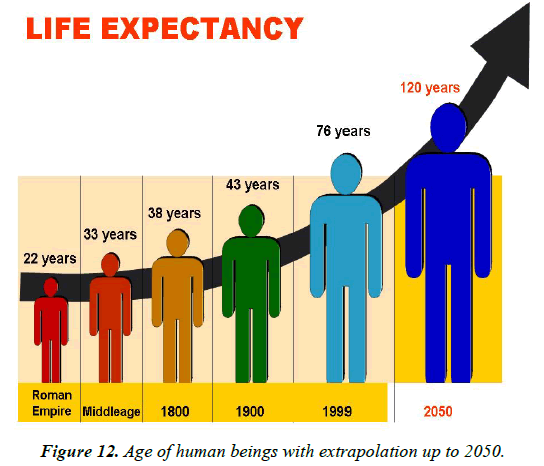 Figure 12: Age of human beings with extrapolation up to 2050. Figure 13a Scheme of production of renewable PLA. Figure 13b Scheme of production of renewable PHA. This study is funded by H2020 project PolyBioSkin (G.A. 745839). We thank the French Company CIMV for providing information about their Bio-lignin, used in our experimental researches. European commission innovation for sustainable growth. Directorate-General for research and innovation. Bruxelles, Belgium (2012). He W, Goodking D, Kowal P. An aging population. US census bureau. Department of Health and Human Services. Washington DC, USA (2016). European commission. Where next for the European bio economy? Directorate-General for research and innovations, Bruxelles, Belgium (2014). Comforti P. Looking ahead in world food and agriculture: Perspective to 2050. FAO publication, Rome, Italy (2011). Miscalled N. Reimaging growth in the global beauty industry. Euro monitor international, London, UK (2017). Morganti P, Coltelli MB, Santi S. Biobased tissues for innovative cosmetic products: Polybioskin as an EU research project. Glob J Nanomed (2018); 3: 1-6. Gross M. Ocean of plastic waste. Curr Biol (2015), 25, 3. R96. Jambeck JR, Geyer R, Wilcox C, et al. Plastic waste inputs from land into the ocean. Science (2015); 347: 768-772. Wysikowski M, Petrenko I, Stelling AL, et al. Poriferan chitin as a versatile template for extreme biomimetics. Polymers (2015); 97: 235-265. Muxica A, Etxabide A, Uranga J, et al. Chitosan as a bioactive polymer: Processing, properties and applications. Int J Biol Macromol (2017); 105: 1358-1368. Raabe D, Romano P, Sachs C, et al. Microstructure and crystallographic texture of the chitin-protein network in the biological composite material of the exoskeleton of the lobster Homarus americanus. Mater Sci Eng A, (2006); 421:143-153. Raabe,D, Al-Sawalmith A, Yi SB, Fabritius H. Preferred crystallographic texture of alpha-chitin as a microscopic and macroscopic design principale of the exoskeketon of the lobster Homarus americanus. Acta Biomater (2007); 3: 882-895. Qu T, Verma D, Alucozai M, et al. Influence of interactions on defirmation mechanism and interface viscosity in a chitin-calcite interfaces. Acta Biomater (2015); 25: 325-328. Elieh-Ali-Komi D, Hamblin MR. Chitin and chitosan: Production and application of versatile biomedical nanomaterials. Int J Adv Res (2016); 4: 411-127. MelnarI, Kovarova Nj, Tischenko G, et al. Chitosan/Chitin nanowhisker composites: Effect of plasticizers on the mechanical behaviour, J Polym Res (2015); 22:1-6. Morganti P. Innovation in cosmetic and medical science. 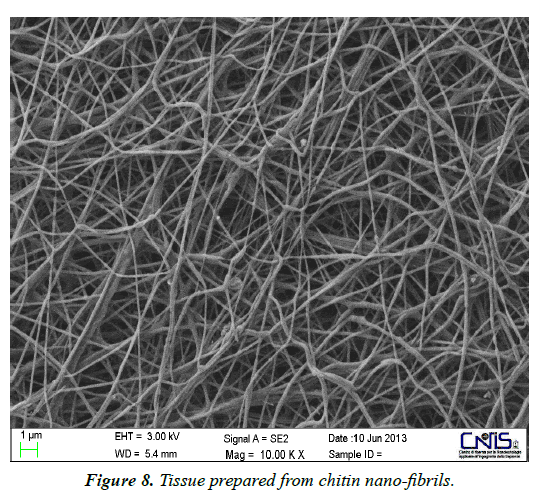 The role of chitin nanofibrils composites. J Appl Cosmetol (2015); 33: 9-24. Zhang X, Reagan MR, Kaplan DL. Electrospun silk biomaterial scaffolds for regenerative medicine. Adv Drug Deliv Res (2009); 61: 988-1006. Morganti P, Palombo M, Tischenko G, et al. Chitin-Hyaluronan nanoparticles: A multifunctional carrier to deliver anti-aging active ingredients through the skin. Cosmetics (2014); 1: 140-158. Morganti P, Stoller M. Chitin and lignin: Natural Ingredients from waste materials for making innovative and healthy products for humans and plants. Chem Eng Trans (2017); 60: 319-324. Morganti P, Del Ciotto P, Carezzi F, et al. A chitin nanofibril-based non-woven tissue as medical dressing: The role of bionanotechnology. Nanomater Regen Med (2016); 1: 123-142. 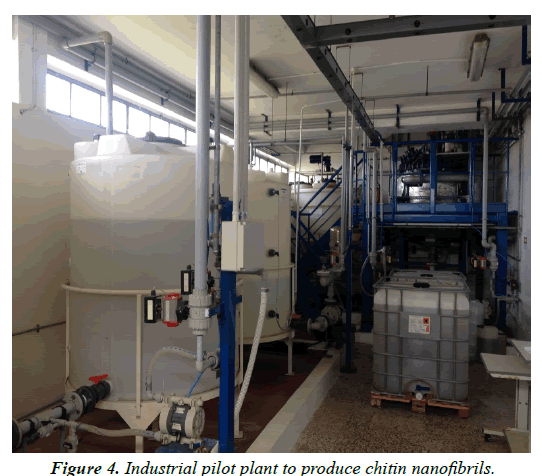 Morganti P. Use of chitin nanofibrils from biomass for an innovative bioeconomy. Nanofabrication using Nanomaterials. One central press, UK (2016); 1: 1-22. Morganti P, Febo P, Cardillo M, et al. Chitin nanofibril and nanolignin: Natural polymers of biomedical interest. J Clin Cosmet Dermatol (2017;) 1: 1-7. Lora JH. Industrial commercial lignins: Sources, properties and applications. Monomers, polymers and composites from renewable resources, Elsewier, Oxford, UK (2008); 225-241. Watkins D, Nuruddin Md, Hosur M, et al. Extraction and characterization of lignin from different biomass resources. J Mater Res Technol (2015); 4: 26-32. Lee S, Kalanians Mannappa A, Mitchel R. Biological activities of lignin hydrolisate-related compounds. BMB Rep (2012); 45: 265-274. Neergheen V, Luximon-Ramma A, Aruoma O, et al. Phenolics as potential antioxidant therapeutic agents: Mechanism and actions. Mutat Res Fund Mol M (2005); 579: 200-213. Cai YZ. Structure-radical scavenging activity relationships of phenotipic compounds from traditional chinese medicinal plants. Life Sci (2006); 78: 2872-2888. Sander CS, Charg H, Hamm F, et al. Role of oxidative stress and the antioxidant network in cutaneous carcinogenesis. Int J Dermatol (2004); 43: 326-335. Qian Y, Qiu X, Zhou S. Lignin: A nature-inspired sun blocker for braid-spectrum sunscreens. Green Chem (2015); 17: 320-324. Morganti P. The meaning of nanodimension involving the cosmetic chemist from lab to the industrial process. J Sci Res Rep (2014); 4: 79-100. Be Y, Weu Q, Li Z. Preparation and evaluation of the free radical scavenging activities of nanoscale lignin biomaterials. Bio Res (2014); 9: 6699-6706. Morganti P, Palombo M, Fabrizi G, et al. New insight on anti-aging activity of chitin nanofibril-hyaluronan blocks copolymers entrapping active ingredients: In vitro and in vivo study. J Appl Cosmetol (2013); 31: 1-29. Morganti P, Del Ciotto P, Stoller M, et al. Antibacterial and antiinflammatory green nanocomposites chemical engineering transactions (2016); 47: 61-66. Morganti P, Fusco A, Paoletti I, et al. Antiinflammatory, immunomodulatory, and tissue repair activity on a human keratinocytes by green innovative nanocomposites. Materials (2017); 10: 843. Morganti P, Ruocco E, Wolf R, et al. Percutaneous absorption and delivery systems. Clin Dermatol (2001); 19: 489-501. Wiegand C, White R. Microdeformation in wound healing. Wound Rep Reg (2013); 21: 793-799. Bahberg CG, Fagerholm SC, Nurm SM, et al. Regulation of integrin activity and signalling. Biochem Biophys Acta (2009); 1790: 437-444. Guterres SS, Alves MP, Pohlmann AR. Polymeric nanoparticles, nanospheres and nanocapsules for cutaneous applications. Drug Target Insights (2007); 2: 147-157. Mahapatra DK, Bharti SK. Handbook of research on medical chemistry. Innovations and methodologies, AA Press and CRC Press, Oakville, Canada and Waretown, USA (2018). Morganti P, Chen Hong-Duo, Gao XH, et al. Nanoparticles of chitin nanofibril-hyaluronan block polymer entrapping lutein as uva protective compound. Carotenoids: Food source, production and health benefits. Nova Science Publishers Inc, New York, (2013); 237-259. Wiechers JW. Skin delivery systems. Allured Publishing Co., Carol Sream, IL, USA (2008). Mooney BP. The second green revolution? Production of plant-based biodegradable plastics. Biochem J (2009); 418: 219-232. Lee S, Choi JI. Production of microbial polyester by fermentation of recombinant microorganisms. Adv Biochem Eng Biotechnol (2001); 71: 183-207. Doran-Peterson J, Cook DM, Brandon SK. Microbial conversion of sugars from plant biomass to lactic acid or ethanol. Plant J (2008); 54: 582-592. European Bioplastics. Nova Institute Data (2017).